Tip of the Day: Did you see Tina's cover reveal from Monday? No?!? Go check it out and then link to her personal blog for a chance to WIN STUFF!!! Last week I mentioned five recent middle grade novels that are great reads for the creeptastic month of October. As promised, here are five young adult titles that you must check out if you like to have your mind rattled! 1. ASHES and SHADOWS by Ilsa J. Bick. Teens are turned into flesh-eating monsters after an EMP rocks the planet. The first book came out last year, the second just this month, both are action-packed, gory, and startling. 2. 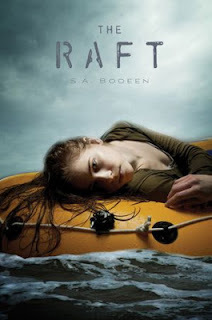 THE RAFT by S. A. Bodeen. A plane crash, a raft rescue, an island marooning, and dead bodies grace this novel that makes you hope to never be floating in the middle of the Pacific Ocean. 3. EREBOS by Ursula Poznanski. 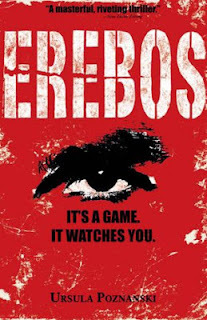 The creepy overlord character watches the players of Erebos and makes them do real world tasks that may result in death. While at first I was sure this book would be paranormal, it was actually more normal normal, which made it even creepier. A unique, foreign addition to scary YA. 4. 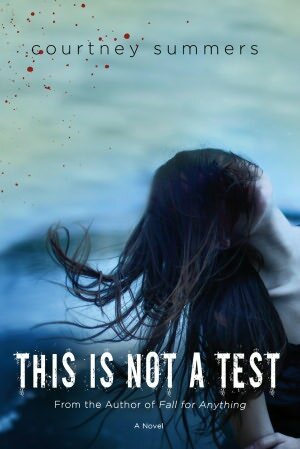 THIS IS NOT A TEST by Courtney Summers. An zombie-esque tale about teens trapped in their high school while outside are the living and the undead. What makes this novel stand out are the personal demons each character also faces. 5. 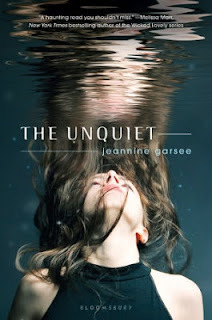 THE UNQUIET by Jeannine Garsee. Is Rinn's school haunted by a girl who drowned in the swimming pool, or does she simply need to go back on her bipolar meds? Either way, Rinn is scared and should be. Which ones have I missed? There have been so many great new releases this month too and I just can't keep up! 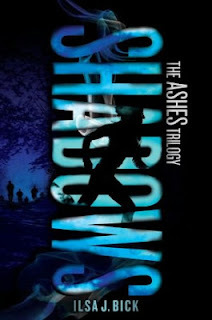 I lovedTHIS IS NOT A TEST and can't wait to read SHADOWS (am waiting for my library hold to come up! )but you've given me some other cool looking ones here to put on my list! I don't read novels about people stranded in the middle of the ocean. Personal fear! Deena, I couldn't finish THE LIFE OF PI.